Sports Radio Interviews sift through the a.m. drive-time chatter to bring you the best interviews with coaches, players, and personalities across the sports landscape. Today: Oklahoma OT Lane Johnson was asked some tough questions. 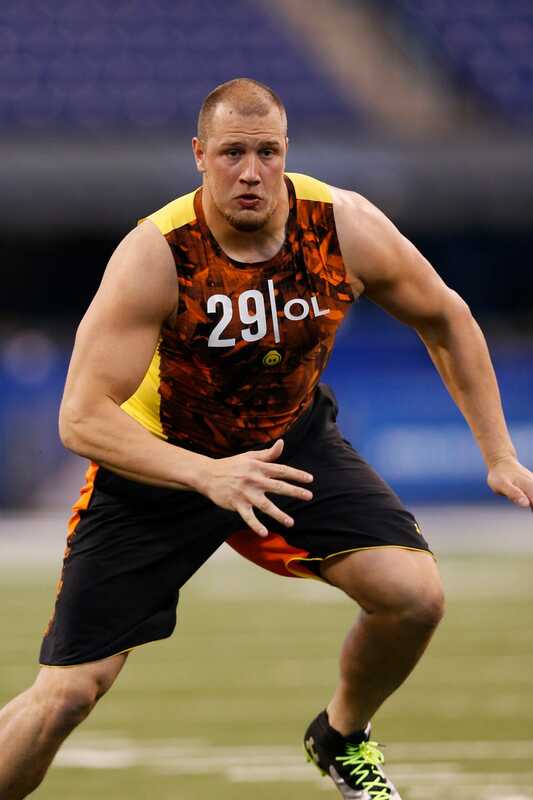 Lane Johnson joined Darren Smith on The Mighty 1090 in San Diego to discuss his experience at the NFL Scouting Combine, his performance in Indy, media and team interviews at the Combine and the possibility of joining the Chargers. "I just wanted to show people that I'm not as raw as some people may think I am. I wanted to show, obviously, my athleticism in drills, and just trying to get to know some of the coaches and stuff with the interviews. So all of those things took place and I'm glad to be done with it now." "I expected to do a little bit more on bench press, but no excuses. I went out there and did the best I could and I'm happy with what I accomplished." "At Oklahoma we're kind of used to talking in front of the media. We've had media trainers. As far as the interviews, I actually met with Ken Herock, who was an ex-GM for the Falcons. So we basically did mock interviews and he told us basically what was going to be going on in those meetings, and what kind of things to expect. So I kind of had an idea of what to expect heading to the Combine." "One thing caught me off guard. I was meeting with Cincinnati, and I went in there and they told me to remember five things. They just listed five things like a bear, a flower, a tree, a man and like a dog. And they told me to remember those terms, at the end of the meeting to see if I could remember them. And from that point on, they listed numbers. They said, like, 9167, and then told me to repeat them in reverse order. So that was probably the weirdest meeting I've ever been a part of." "We talked about my transition from quarterback to lineman and things like that. Got to meet them and understand them a little bit more. Obviously San Diego is some of the prettiest weather that you can get and a great place. I'm looking forward to taking a visit out there." • Josh Cribbs doesn't sound confident he'll return to the Browns. • Kenyon Martin thinks he still has three good years left in him. • Carlos Gonzalez says health is the only thing standing in the Rockies' way.